The streaming of television programs and shows on the internet and mobile devices like smartphones and tablets has become a very popular mean to be entertained and to watch your favorite shows without much pondering about time and space. To enhance a viewer’s experience to watch television, various digital companies are in last phase of research to establish connectivity between internet and television. According to some research firms, about 100 million television sets in the US and Western Europe would be connected to internet by 2016 with new hybrid TVs. The hybrid TVs would have the capacity to show interactive content from the web. As most of the TV owners now also have access to a smartphone, laptop or tablet. May be televisions of the future will combine accessories email, web surfing and texting. This development is very crucial for the competition shows requiring voting and sports programs imperative to interact. The new hybrid televisions will also have secondary screens as well. At initial phases of development, in Europe, the Hybrid Broadcast Broadband TV (HbbTV) is a connected television. It is expected to expand its reach in 2013 and then to spread to North America. French television may use this technology during French Open Tennis tournament in May 2012. Tennis fans will use a push button on the remote control to enjoy interactive screens to show scores of other matches, bios of players, news, photos and Twitter streams. 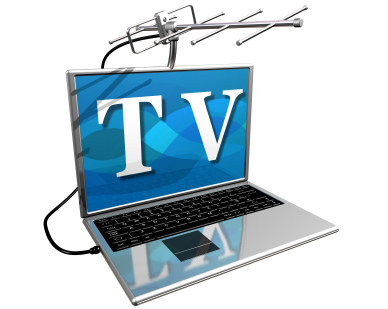 At present about 12 million households in the United States have television connected to internet. Rovi, Arris, NDS, Ericsson, Alcatel-Lucent, Cisco Systems, Motorola, TiVO, and Jinni Media, Ltd are some of the companies working on Hybrid technology.